Five Nights at Freddy’s is coming to the PS4. But, rather than just remaking the game for VR, it’s led to this State of Play announcement of Five Nights at Freddy’s VR: Help Wanted. 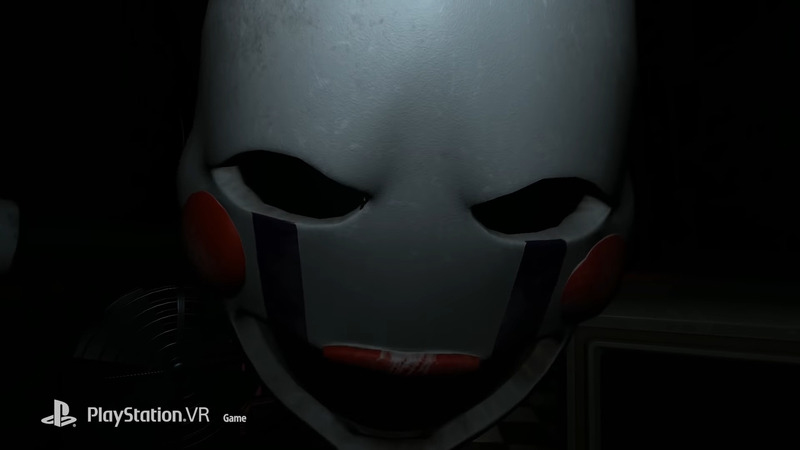 Even through there are no clear new animatronics shown in the trailer, you’ll still have no real peace of mind. When playing a game on a handheld device or your PC monitor, you can still feel a sense of protection. You know nothing bad is going to happen. Nothing is really going to sneak up on you. But in VR, you feel like you are in the pizzeria surrounded by dark hallways and suspicious vents. VR games, even unrealistic ones, can make you feel immersed in the world as if you are there. This evidently leads to a more worried player, something the entirety of the FNAF series absolutely thrive off of. The player will have to adapt to the new platform by using either a DualShock 4 or PS Move controllers. With the VR layout comes more advanced controls including pushing buttons to switch cameras and using the flashlight. Players can also have fun by seeking collectibles like bobbleheads, plushies, action figures, and more. Five Nights at Freddy’s VR: Help Wanted is coming out this Spring exclusively for the PSVR. What do you think of this announcement? Are you going pick this up when it launches?